WELCOME MAT WITH GEOMETRIC BORDER by Summerfield Terrace home decor, jewelry, decor, decorations, electronics, fountains, floor mats, art glass, vases, garden essentials, fireplace screens. Welcome guests inside but keep dirt and debris outside! 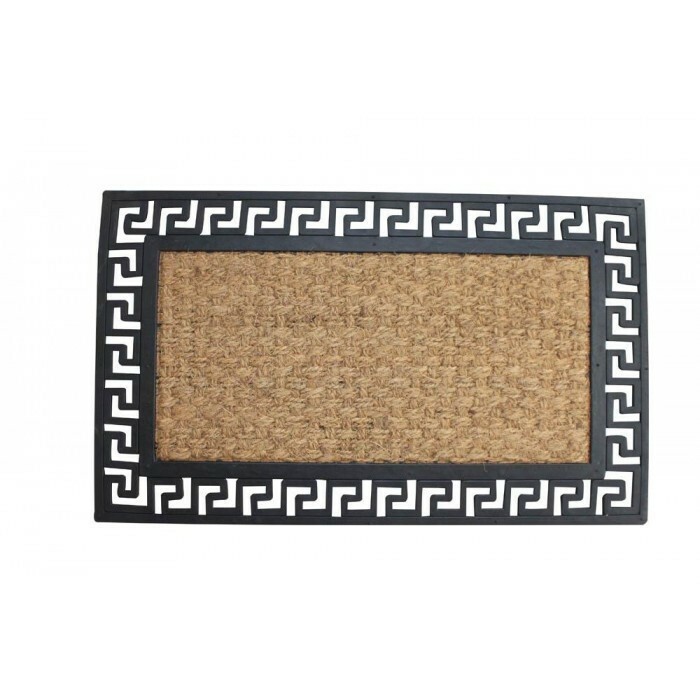 This fantastic welcome mat features woven coir fibers that help trap dirt, and the decorative geometric black rubber frame makes it a stylish statement. Material(s): RUBBER COIR. Weight 3.3 pounds. Dimensions 30" x 18" x 0.875".